Welcome to your spot for information about grade 8 English/ Language Arts . Here you can read about class expectations, requirements, and curriculum material. 1.) Students are expected to come to class prepared to learn with something to write with, an independent reading book, Interactive Notebook, and a folder. 2.) All students and teachers should demonstrate respect for those around them through their words and actions. ​At TMS we are Respectful, Responsible, and Safe. 3.) All other expectations are outlined on the Thompson Middle School website. 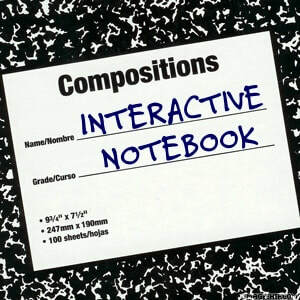 Your Interactive Notebook needs to be a 100 sheet Composition Notebook. Click on the link below to connect to the Thompson Middle School website for school updates and to view the calendar for the 2018/2019 academic year.